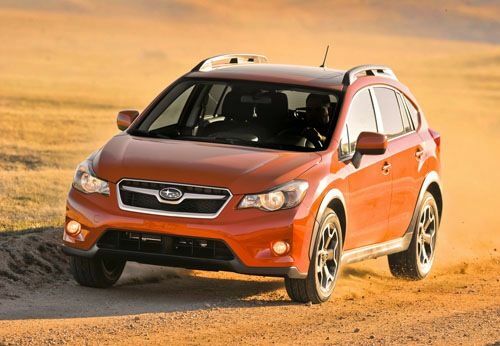 The all-new 2013 Subaru XV Crosstrek has begun arriving at Subaru dealerships as buyers get a first look at the AWD crossover. Subaru has delivered the first 2013 Subaru XV Crossrtreks to Colorado dealers for their customers to get a first chance to view the all-new crossover. Subaru sells more cars in the Rocky Mountain region than anywhere else and they want to reward their dealers by giving the first XV Crosstrek utility vehicles out in an area where they have the most buyers. Subaru is also rewarding their loyal customer base in an area where the new XV Crosstrek should see strong sales. In a communication email, Subaru dealers were inviting select customers to be the first to see the all-new crossover vehicle. The email said, “come see the all-new 2013 Subaru XV Crosstrek.” One event took place on Friday and Saturday at Heuberger Motors in Colorado Springs. They only had one XV Crosstrek, and a call to Robert Leans at the Colorado Springs dealership explained what the event was about. Potential buyers of the new AWD crossover were being invited to come and sit in the car, but they wouldn’t be allowed to take it out for a test drive. The car is only for informational purposes and would not be for sale. Apparently Subaru is moving the car to different locations throughout the area and giving an opportunity for as many buyers as possible to see the new 2013 XV Crosstrek. Interested buyers could only sit in the car, pick up sales literature and get information from the sales people. Leans said that orders could be placed for the new crossover but they didn’t have a delivery date on pre-ordered vehicles yet. He said they wouldn’t have 2013 XV Crosstreks in their showrooms for sale until late September or later. Customer interest is already high and Subaru is expecting strong sales in the Rocky Mountain region and throughout North America. Subaru has already touted the versatile XV Crosstrek as “the most fuel-efficient all-wheel-drive crossover utility in America.” They claim the new Crosstrek will be best-in-class and achieve 33 mpg on the highway. Compact crossover utility vehicles are among the fastest growing segments in the industry and Subaru will face some fierce competition. Hyundai has just launched their all-new redesigned 2013 Santa Fe and says it will achieve 33 mpg highway fuel mileage with FWD. And the 2013 Hyundai Santa Fe has two versions to choose from: a standard Santa Fe that seats five, and a long-wheel-base model with a third row that seats seven. The 2013 Santa Fe is also offering three new engines in their new crossover.